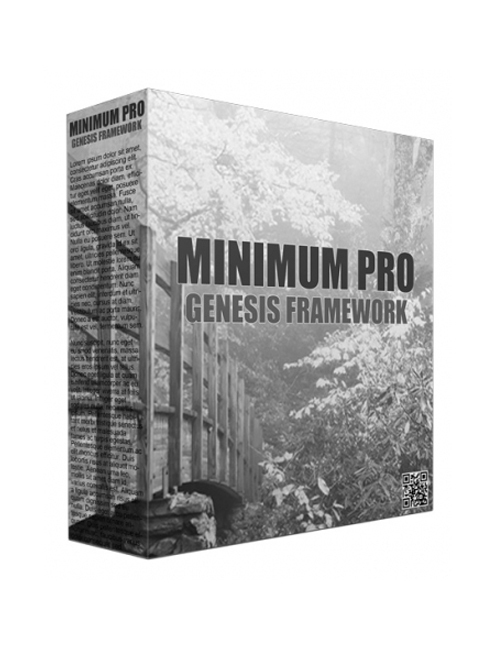 Minimum Pro is a fantastic theme from the Genesis Framework series suited perfectly for entrepreneurs, bloggers and photography hobbyists. This theme is a perfect example of simplicity where less is more while maintaining professionalism and class. Your audience will automatically know right from the very minute they arrive to your site that you are a professional. All the emphasis is placed on your content. On top, your visitors and subscribers will see all your posts without having to rummage through any mess. Minimum Pro also comes with the usual pages that is expected from Genesis including landing pages, squeeze pages, etc. Lovely typography and a stylish and polished theme, we can honestly say that this is what you’ve been waiting for. This theme comes with numerous customizable features including a ton of widgets, portfolio pages, call to action sections, etc. It’s super quick loading, super flexible and super clean and most importantly it’s super powerful. Fully responsive across the board, clean powerful coding, compatibility on all browsers, etc. If you want to be great, then Minimum Pro is for you. The road begins here. Grab it now.